Stephen tested his taxi hailing skills this week at Labour Party Conference in a football-themed game with Guide Dogs. While trying to get a taxi to take guide dog owner Jacqueline to her local football match, the MP for East Ham heard about the real problems assistance dog owners face when being illegally refused by taxis and minicabs. 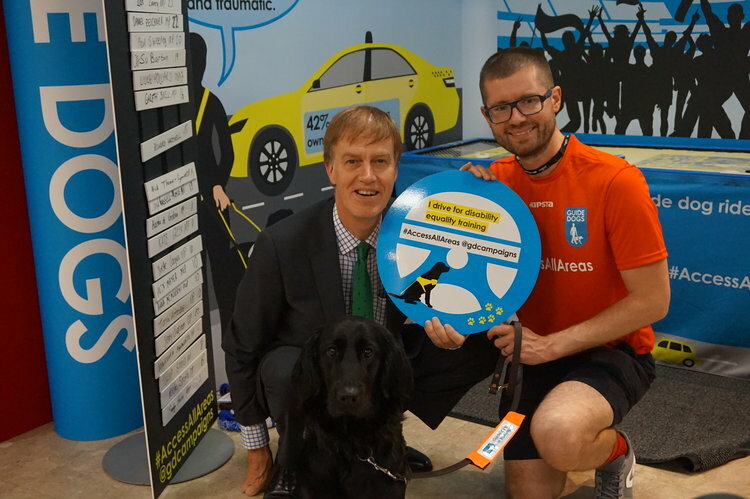 Stephen is supporting Guide Dogs’ call for all taxi and minicab drivers to undertake disability equality training so they understand the rights and needs of disabled passengers and feel confident to offer assistance. The campaign is supported by more than 30 organisations, including trade bodies, local government representatives and disability groups.